Product #21753 | SKU JB01348 | 0.0 (no ratings yet) Thanks for your rating! 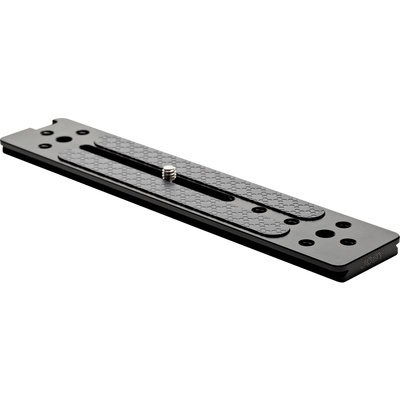 This Joby Ultraplate 208 Quick-Release Plate is a 208mm / 8.2" long Arca-type compatible QR plate. It has eight female 1/4"-20 threaded mounting holes for accessories such as a flash, microphone, action camera, secondary arm, or smartphone with a compatible mount. A stainless steel male 1/4"-20 threaded screw attaches the plate to your camera.